Good morning, insecure writers! Are you having a candy hangover from Halloween? Are you frantically typing to meet your NaNo word count yet? Well, it's time to vent our frustrations and/or accomplishments with our illustrious host, Ninja El Capitan, Alex J. Cavanaugh, and his industrious co-hosts: Joylene Novell Butler, Jen Chandler, Mary Aalgaard, Lisa Buie Collard, Tamara Narayan, Tyrean Martinson, and Christine Rains! This month's question: What is your favorite aspect of being a writer? I like being lost in my writing, particularly a long novel where I have to think carefully about how to make a character come alive or how to incorporate symbolism or how to create an shocking plot twist. The art of creating is the best part. Since it's an IWSG week in which I'm co-hosting, I'm going to go ahead and post this now. Big shout out to the amazing author of Bloodwalker, Lexa Cain, and her cohosts, L.G. Keltner and Tonya Drecker. First, the pumpkin carving. We have (clockwise) a wolf, a scary scarecrow, an owl, and a drooly face. Once scary, but incredibly fluffy wolf. Best tail ever! The Cheshire Cat from the updated Alice in Wonderland. Love those stumpy legs. The cutest little pumpkin's goggling each other. Our ghouly, ghosty friends and/or yard decorations. I love your googly eyed pumpkins - I may have to pinch that idea next year! Those costumes are so cute! Good luck on your release! Those googly-eyed pumpkin are adorable! Great costumes and decorations! I always mean to decorate for Hallowe'en and then never do. I'm too lazy! I wish I could say I was spending all that time writing, but it's just life... Hoping to get back into the swing this month with NaNo. Nice job on the pumpkin carving and costumes. That's some serious talent going on in your household. Oh, you're one of those moms who make costumes and carve really cool pumpkins. My kids needed one of those when they were little. Good on you. Love the Cheshire Cat! And I also always appreciate a writer who is willing to read and review other writers works. I believe in artists supporting artists. What wonderful costumes and pumpkins. I am never that creative. I got my copy of your story! I tried to share from the Amazon page to Facebook and it crashed, so I'll have to give your sale a tweet. Good luck with it!! GREAT costumes!! I especially love the Cheshire Cat. He's one of my favorite characters. 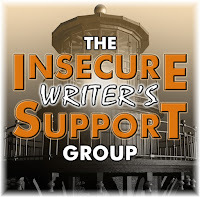 One of my goals for next year is to read and promote more writers from the IWSG. Thanks for the inspiration to do just that!! Thanks for helping us co-host this month! Looks like everyone had a great Halloween holiday! My husband was opening the door this year and dishing out sweets to the neighbourhood kiddies - as I was ill. He did a great job! Wishing you lots of fun in your creative zone over the coming weeks. Once a week sounds good. It's all I can manage anymore. Cute costumes and gorgeous pumpkins! I like your view of the best of writing. I joke a lot about it (working in my PJs! ), but you're right--there's nothing like that feeling when it's really going and the words are pouring out, the plot is coming together, and the characters are staying in character! I love getting lost in my writing too and having the words fly. It doesn't happen enough thanks to life. What great costumes! Loved those carved pumpkins, too! You've been on busy pre-Halloween person. Thanks for taking on the co-host today on top of all that. The pumpkin carvings are very creative! Due to time constraints, I think lots of bloggers have cut back. I also believe in reading and writing reviews as a way to give back to the community. My kids were never abducted by aliens. I must have done something wrong, eh? Thanks for co-hosting, Tamara! Great pumpkins! Once I have my own home, instead of an apartment, I'll so be getting lots of pumpkins to display, both carved and painted. I've noticed a number of bloggers cutting back on their schedule. There's really no need to post several times a week if you only have time or inspiration for one really good post each week. PS, thanks for co-hosting with me this month! 2016 has blown by. I can barely keep up. Sounds like you've made some great accomplishments with writing so Congrats! The pumpkins look killer! And costumes look fabulous too. Way to go! The past few years have been a blur to me. I love your pumpkins. We used to carve ones like that. Plus the costumes are adorable. Good luck with NaNo. I've not done that. Maybe next year. I've been thinking about cutting back my blogging to twice a week, but I do find that blogging is a different sort of writing from my novel--and I like it. It's almost more creative, more open, more off-the-cuff. I sometimes surprise myself with what I say. Bunnicula! I loved those books as a kid. =) Looks like you guys had a great time celebrating Halloween! I love the kids costumes!!! And your pumpkin carving is awesome! Congrats on your book! I agree, I love plot twists and surprises too!! I'm finding that many of us find that our favorite thing is to get lost in our writing. Congrats on the busy, productive year! And you can never go wrong by putting adorable kids in the post. I enjoy getting lost in my characters' worlds too. Love the Halloween pics. Happy autumn and thanks for co-hosting. Great costumes, Tamara. And I LOVE the Bunnicula. 2016 has been a blur for me too. Just when I thought I would have time, one thing or another invariably popped up. Those are some awesome carved pumpkins. Must have taken a while to carve. 2016 just went by too quickly. Love the Halloween pictures. Thanks for co-hosting this month. When I answered the question, I completely forgot about getting lost in my writing. Thank you for reminding of that altered space. I just realized I haven't used symbolism. I'm gonna have to add that. Isn't it fun to create a shocking plot twist and leave an impression that hangs on for days? Thanks for co-hosting the IWSG Blog question for November. I LOVE the costumes and decorations. Oooo shocking plot twists. All the best to you. I've joined your blog! 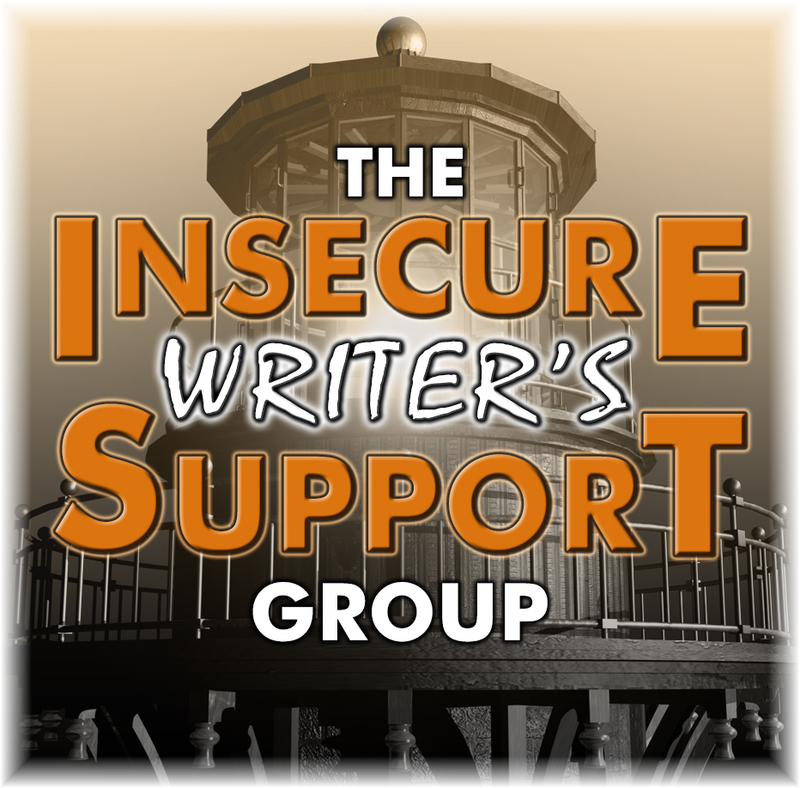 Thanks for co-hosting the IWSG this month, Tamara! Fourteen reviews to go ~ OMG! You're braver than I am! I loved all your fun Halloween photos! Thanks for including them, Happy writing in November! I hope no one gets sick and you get plenty of writing time in! Found your entry for IWSG and I have to agree. Curiosity is much stronger about all sorts of things now that I am a writer. What great Halloween costumes! That last one makes me think of the famous painting, "The Scream." Yes, getting deeply immersed in a world and characters you are bringing to life is so satisfying! Best of luck with your next project, and I hope no one interrupts it with getting sick. Have a great day. Sometimes, I am afraid when I get lost in my writing because it is difficult to come back to the normal routine. Yet, I wouldn't change getting lost for nothing in the world. Great costumes and decorations. Good luck with your NANO project! Love those Halloween costumes and decorations. Good luck with focusing on your writing, and I'll my fingers crossed for you that no illness or other emergencies impeded your progress. Such CUTE costumes...and I love the graveyard! I wish we weren't so far off the road. 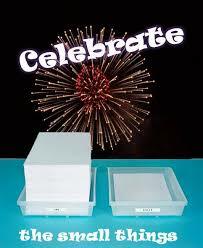 I miss decorating where people can actually see the decorations. You just jump right back into writing! The world awaits your next book. Thanks for co-hosting! I love those pumpkins! Great pictures. Looks like a fun Halloween. Thank you for do-hosting this month. I love the pictures. We had a wonderful Halloween, thank you! You seem to have had one as well, and I adore your pumpkins. We haven't done pumpkins for a while since they melt in Florida and you can't put them out until the day before. (As if there isn't enough of a time crunch to get costumes done.) But we did them this year! So much fun--and nowhere near as cool as yours. Wow - your family is so much more creative than mine ever was. We could barely manage the basic pumpkin face and Mom's old dress and some scarves made me a gypsy on more than one year. LOL Your kids look fab and I'm glad everyone had a great Halloween! Like you, I put my WIP on hold for months because of Bloodwalker. Now, finally, I'm getting back to it. Good luck to us both! Your punkins and costumes are so cute. Great job. Glad things went well with your blog tour and glad to hear you are paying it forward. Thanks so much for co-hosting this month. Your pumpkins look great and the costumes too. Sorry I didn't get to post for IWSG this month, I ran out of time and sometimes blogging has to take a back seat! Hope you enjoyed your co-hosting and thanks for stopping by my blog. Cute costumes and I love your pumpkins! Great job with the pumpkins. Keep the word count high and the deleting low this month. I need to get lost in some writing. I probably need to cut back on blogging as well--it can be rather time consuming even now that I've already cut back from what I used to do. Wow, those are amazing costumes, Tamara! You did a great job. Love all your decorations too. Where on earth did you find a Bunnicula statue?